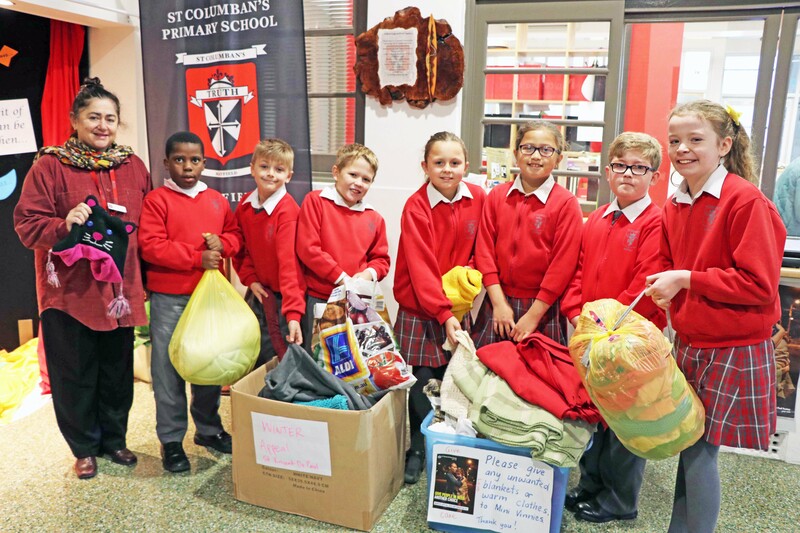 St Columban’s has a very active social justice program with a dual focus on awareness and action. The student leaders lead the student body in a variety of initiatives including the Lenten CARITAS Appeal, St Vincent De Paul Appeals (winter and Christmas) and Catholic Mission. Caritas Global support – In the form of Project Compassion Money boxes. Stage 3 leaders actively collect money as well as each family receiving a box to place in their own homes. Vinnies Winter Appeal- Supporting locals – Collecting blankets and warm clothes for distribution by St Vincent de Paul to the local community. Catholic Mission- Global support – A Mission day organised by Stage 3 students concludes the term and is supported by a presentation from Richard Cootes from Catholic Mission. Funds raised also assist the Refugee Hub in Mayfield. The activities are varied and this is a fun-filled day for the children. Vinnies Christmas Appeal- Supporting Locals- Students and families are asked to support the local appeal through donating non-perishable goods, money or presents, which are then distributed to needy locals at the festive time. Through our Dominican Schools network, the children raise money for the schools in the Solomon Islands. The school encourages the students to propose other areas for social justice work at a local level. From year to year this is in response to the needs of the local community.